Published in 1793-6, amid controversy following the death of John Wesley (1703-91), this two-volume work vied with others for status as the most authentic biography of the Methodist leader. 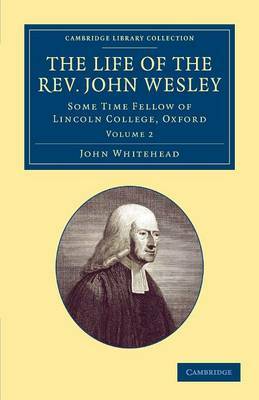 Wesley had left his papers to his physician John Whitehead (c.1740-1804) and the ministers Thomas Coke and Henry Moore, but Whitehead monopolised the papers in the preparation of his biography, refusing to allow his fellow executors access - the dispute is mentioned in the prefatory matter to Volume 1. Volume 2 continues the narrative from Wesley's voyage to America in 1735 until his death. It also includes assessments of his character and writings, as well as Whitehead's analysis of the state of Methodism at the time of writing. This remains an important critical appraisal of the movement's early history, offering researchers valuable insights into the contemporary debates over the future and structure of Methodism.